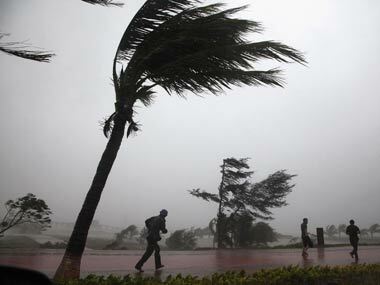 New Delhi: The Indian Navy, Coast Guard and NDRF are all geared up to undertake relief and rescue operations as cyclone Vardah made a landfall near Chennai in Tamil Nadu, official sources said on Monday. Naval ships Shivalik and Kadmatt sailed out from Visakhapatnam in Andhra Pradesh early Monday morning to Chennai to augment relief efforts in the Tamil Nadu capital as part of 'Operation Madad', the Navy said. The ships are carrying medical teams, divers, inflatable rubber boats, integral helicopter, and relief material that includes food, tents, clothes, medicines and blankets etc. Additional naval ships have been kept on standby to supplement efforts for undertaking humanitarian assistance and disaster relief (HADR) operations, should the situation demand, the Navy said. "Vice Admiral HCS Bisht, Flag Officer Commanding-in-Chief of Eastern Naval Command, reviewed the preparedness of the Naval Command to undertake relief operations at Chennai," Navy spokesperson Captain DK Sharma said. 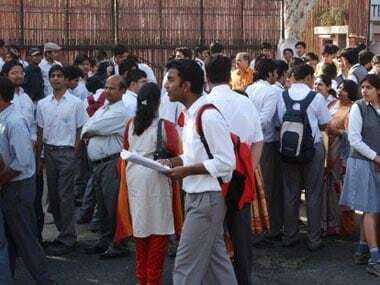 Apart from 10 diving teams stationed on the Shivalik and Kadmatt ships, the Flag Officer of Tamil Nadu and Puducherry Naval Area has readied six diving teams for immediate deployment in consultation with the state administration. "As many as 22 diving teams have been kept on standby at Visakhapatnam for immediate deployment, should the situation warrant. Shelter places have been identified and medical teams kept ready for providing humanitarian assistance," the Navy spokesperson said. "A survey ship has been kept on standby to undertake harbour survey if required. Naval aircraft are also on standby at the Naval Air Stations Rajali and Dega to augment HADR operations," he added. The Indian Coast Guard are also on standby. "All necessary rescue materials have been kept on standby at all Coast Guard stations along the coast across these states. Coast Guard Regional Headquarters East at Chennai is closely coordinating with the state administration for rendering assistance if sought," the Coast Guard said. The National Disaster Response Force (NDRF) has kept ready eight flood rescue teams comprising more than 250 members. Equipped with 23 inflatable rubber boats and communication equipment, these have been pre-positioned in coastal areas of Andhra Pradesh. "One team each has been pre-positioned at in Prakasam district and Vishakhapatnam, two teams at Sri Kala Hasti in Chittoor district and four teams at Sullurupeta, Nellore and Tada block areas of Nellore district," the NDRF said. Eleven flood rescue teams comprising 428 rescuers, equipped with 48 inflatable rubber boats and communication equipment have been pre-positioned in low-lying parts of Tamil Nadu. One team each has been pre-positioned at Mahabalipuram and Tambram in Kanchipuram district, two teams at Chennai and three teams at Tiruvallur. Three teams are en route to the NDRF base at Arrakonam in Tamil Nadu from Pune in Maharashtra. 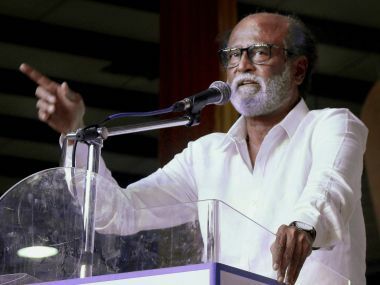 In addition, one team is at Puducherry," the statement said. "Some additional teams are kept on standby and shall be mobilised as per the demand. NDRF Director General RK Pachnanda is closely monitoring the situation round the clock." "The NDRF control room in Delhi is in touch with India Meteorological Department and state administration," the statement added. Cyclone Vardah on Monday afternoon crossed the Tamil Nadu coast near Chennai, leading to strong winds. The landfall will continue for around four hours, accompanied by rains and strong winds. The Tamil Nadu government said over 7,350 people were shifted to 54 relief camps set up in Chennai, Kanchipuram, Tiruvallur and Villupuram districts.